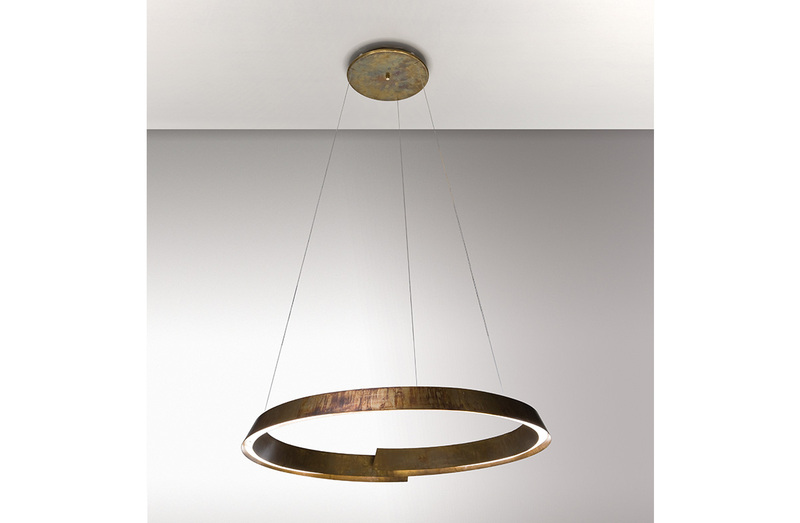 Ring style pendant light with structure in etched brass. Available to order in a choice of two sizes. LED lamping. Note: Custom drops may be available upon request, please contact Usona to review possibilities.